Films adapted from novels are incredibly common. Nowadays, it is more likely to see an adapted film than a truly originally one. These novels often make it easier on the screenwriter and director, as the story is there, all that is left is figuring out how to make it into something visual. Sometimes, an incredible book comes along that seems impossible to adapt on to the screen without losing what makes it brilliant. Room was one of these books. Lenny Abrahamson did the impossible, and adapted it for the screen, creating a beautiful and poignant film. 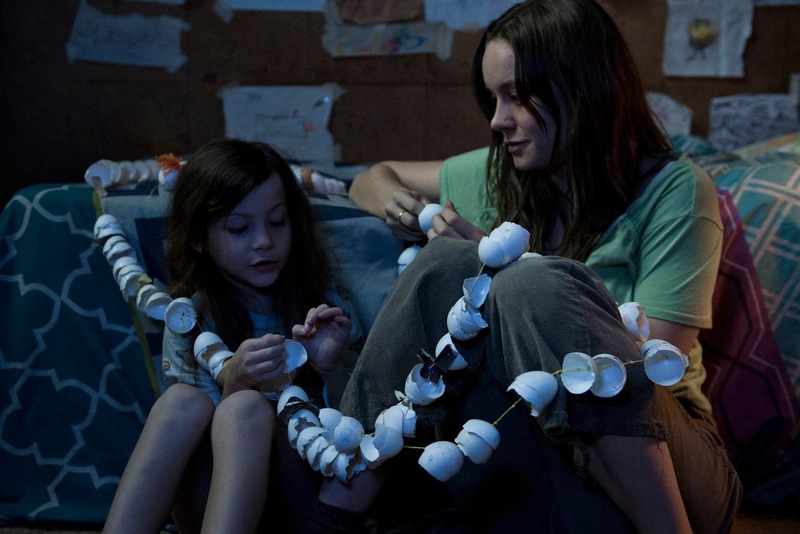 Room follows the story of a woman (Brie Larson) and her son Jack (Jacob Tremblay), as they try to survive living in a backyard shed, held captive by the man who kidnapped and impregnated her years earlier. We watch them as they attempt to live their lives despite the horrible circumstances, as they attempt to escape their captivity, and the aftermath of their story. The story is told from Jack’s perspective, one of the reasons why the story was thought to be unadaptable. We are able to see the way he experiences his world, and how growing up in a tiny room his entire life has affected him. Larson and Tremblay are both phenomenal in their roles, particularity Tremblay who does wonders with a tough — and crucial — role for such a young actor. Emma Donoghue, the author of Room, also wrote its screenplay, which is a clear reason why it is able to work so well as a film. The novel is narrated by Jack, which means it is full of misinformation and screwed ideas that we need to decode. The film, while more of an objective perspective due to the help of an unbiased camera, is still made from Jack’s perspective, as his thoughts are the only ones we hear through voiceover. The story itself would be hard to make into a watchable film, as so much time is spent without dialogue and with characters living mundanities of life in an unroll place, but Donoghue succeeded in making a script that turns every moment into something that needs to be seen. The film is incredibly faithful to its source material, with the only major changes being that the story needs to be condensed to fit it into the film’s 118 minutes. The film seemed to be adored by more viewers than myself, as it went on to win the Grolsch People’s Choice Award at TIFF, the award given to what the audience considers to be the best film of the entire festival. The Grolsch award can only be voted for by people who have seen the film, and can only be voted for by each of those people once. When an audience member believes the film they just saw is deserving of the award, they can either place their ticket stub in a designated voting box, or use a number on their ticket to vote online. Room rightfully got the most votes, putting it in an upper echelon of TIFF films, many of whom have gone on to be nominated for, and even win, a Best Picture Oscar.